Watch_Dogs: Who watches the Watch_Dogs? If there’s one thing that appeals to the general red-blooded male sensibility it’s good old-fashioned carnage. So when Zack Snyder adapted Frank Miller‘s 300 for the big screen, I was in testosterone-soaked heaven… awesome choreography, blood and gore galore and it just looked so damn good. Now, we have the inevitable sequel on the horizon, and with it comes the obligatory videogame tie-in, 300: Rise of an Empre – Seize Your Glory. With a property like 300, I was really excited for this title, especially with it being developed by Warner Bros. Interactive who brought us the rather awesome Injustice: Gods Among Us. As it happens though, it would appear my enthusiasm got the better of me. Is this because Seize Your Glory is a bad game? Hmmm well… yes, and no. You play Greek warrior Themistokles, the protagonist of the forthcoming 300: Rise of an Empire. The mission is a simple one: Defeat the advancing Persian forces lead by Naval leader Artemisia, therefore uniting all of Greece in victory. That’s prettymuch it – there’s no in-depth story or character narrative. All you have to do is kill a load of Persian invaders. The control system is really straightforward and easy to pick up. You have an on-screen joystick for movement, and a button for your shield, and one to attack. 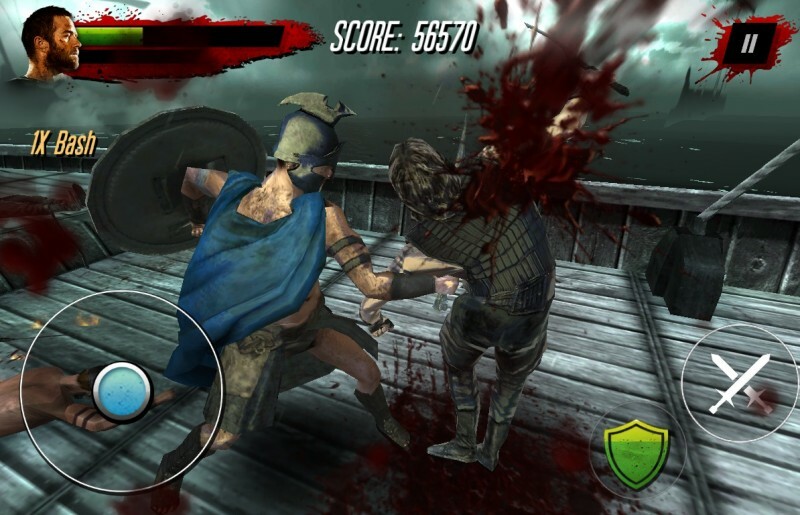 Double-tap the shield button to do a Spartan-style shield bash, and hold the attack button when your rage meter is full to perform some nice slow motion finishing moves. Firstoff let me explain what I like about the game. Graphically the title is actually pretty impressive. Some nice character models, fluid animation and the on-screen interface is attractive and easy to use. I had it running on my Nexus 4 with no problems or slowdown, and it ran beautifully. The sound is pretty straightforward, with some decent music that sounds like it’s taken directly from the film, or at least inspired by it. The sword clashes and shield bashes do sound a little tinny though, but I didn’t mind that too much. 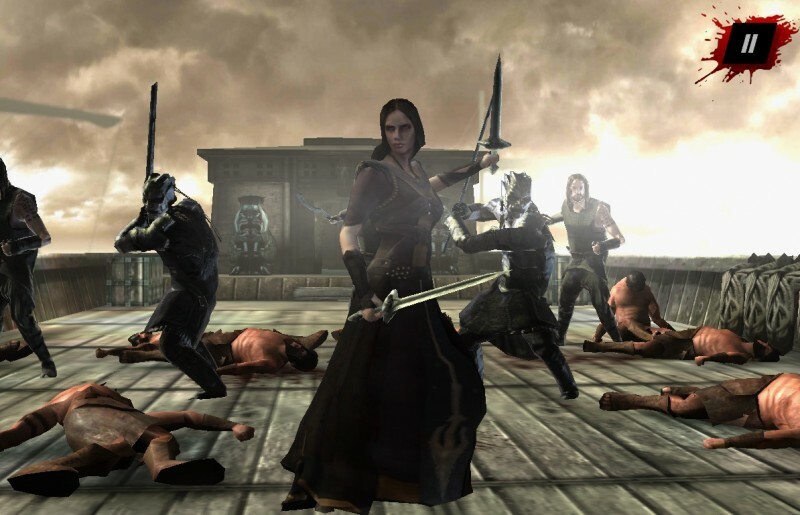 The gameplay itself is pretty fast and furious, though the computer AI isn’t exactly great, so enemies are overcome rather easily. The variety in gameplay is good (for the length of the game), with a basic hack & slash being the primary method of your genocidal tendencies. You do get an archery portion of a level, where you have to stop Persian bombers getting to your ship, and this is pretty intuitive in terms of controls too (just aim with the left stick, fire with the attack button). Now for what I didn’t like. My main gripe about Seize Your Glory is that I completed it in under 30 minutes, and that was with me taking my time. I’m fairly certain if I tried a timed speed-run, I’d manage it in under 20 minutes easily. There’s only 4 “battles” and all of these are prettymuch the same. The only variety is in the enemies. The first battle (or wave of enemies) are your bog-standard non-blocking guys. The second wave are the “immortals” from Snyder’s first movie – they block, so you have to shield bash before you attack. The third battle is where you get to do your archery, and the fourth and final battle is the same as the first two, except you battle Artemisia at the end of it. Each battle will probably take you around 5 minutes or less, and because of the lack of intelligence in the opponent AI, it makes it so much quicker (my first attempt had me finish it without dying once). This just seems pointless – it looks like quite a bit of effort has gone into the game to make it a decent-looking and playable title, and then it looks like WB couldn’t be arsed to finish it, so left it at 4 levels. This brings me to my second bad point. There’s no replay value in this title whatsoever. Once you’ve completed it, you can pick and choose which battle you fight… and that’s it. The only other thing is that you can do is post to Facebook. All this does is boast if you’ve done a certain number of finishing moves or shield bashes that’s “above average” for other players of the game. If leaderboards between Facebook friends were incorporated, then maybe this would incite a competitive streak, but alas, this facet has been overlooked. Artemisia – a regular grunt with more energy. No challenge. My last gripe about 300: Seize Your Glory is a simple one: There’s no story. No soul. It’s a game created off the back of a major movie release, and that’s it. Some artistic license would’ve been acceptable. Hell, I’d love it if they included a Leonidas section where you can battle at the hot gates or something. It could be that Warner Bros. are adhering to an embargo on content, and more levels will be added once the movie is released… but I really doubt it. Overall I’m really quite disappointed with 300: Rise of an Empire – Seize Your Glory. It has such potential to be something great. The gameplay mechanics are there, and it’s great to look at… but it just feels unfinished and lazily put together. The one good thing that’s going for it is that it’s free and the download itself is only about 46mb. 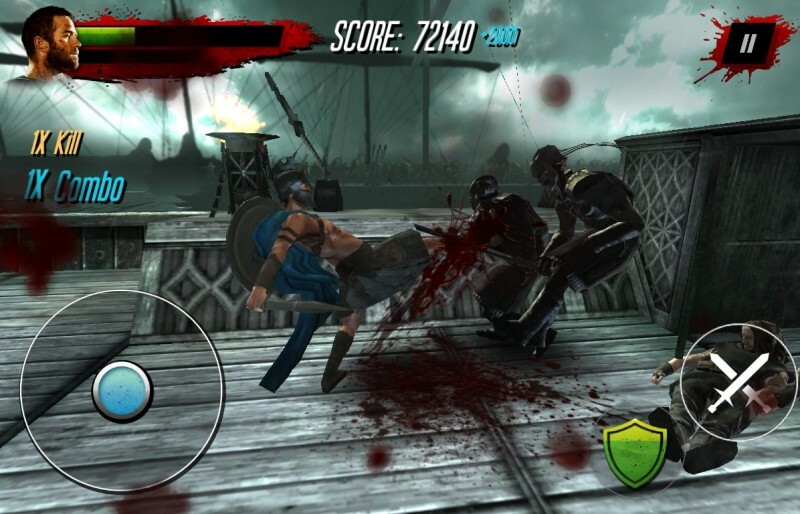 If you want a quick hack n slash that you’ll download, play, finish and uninstall… then this is your game. If you want something with substance… don’t bother. WB clearly didn’t. Get 300: Seize Your Glory on the Google Play Store Here. Get 300: Seize Your Glory on the Apple App Store Here.